You may or may not be aware that Jason Derulo dropped a quasi greatest hits package at the end of last month (albeit in a digital-only format) and that it comprised eleven of the singer’s biggest hits, along with a new single entitled ‘Kiss The Sky’. Now said new single has a music video, we determined it our duty to bring it to you. 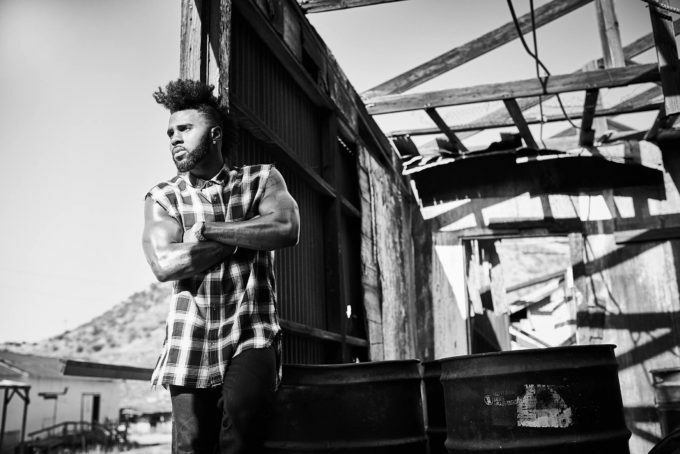 To be honest, we’ve never quite understood why Jason Derulo’s music hasn’t done better than it has. He usually delivers pretty infectious grooves (which he does again here), an always decent vocal performance, eye catching videos and tight choreography… what’s not to like? Here we find him working at a fancy resort, dancing with his fellow staff members through the kitchen, across the check-in desk, by the poolside… it’s bright, fun, has the whole ‘Uptown Funk’ thing going on and we rather like it.